LEGAZPI CITY (PNA) – The Bangko Sentral ng Pilipinas (BSP) here announced the extension of the deadline for the exchange or replacement of the old Philippine banknote series, also known as the New Design series banknotes or NDS to March 31, 2017. 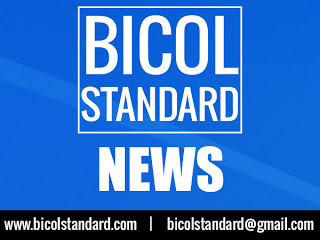 Marlyn Paje, BSP deputy director in Bicol, said NDS is “at par with the New Generation Currency (NGC) banknotes and can be exchanged without charge. “The NDS banknotes may be exchanged with BSP’s its authorized agent banks,” she said. Paje said the recent decision of the Monetary Board to extend the period of exchange from end of December 2016 to end of March 2017 is a response to the public’s clamor to extend the deadline in replacing their old banknote series. She said after March 31, the NDS banknotes which have not been exchanged shall cease to be a liability of the BSP and shall de demonetized. Meanwhile, the BSP also warned business establishments and market vendors who refuse to accept coins that they would face the necessary sanctions. The BSP has received reports that there were stores, especially market vendors, who refuse to accept the 5-, 10- and 25-centavo coins.